Displaying loads from our digital usb load cells has never been easier. 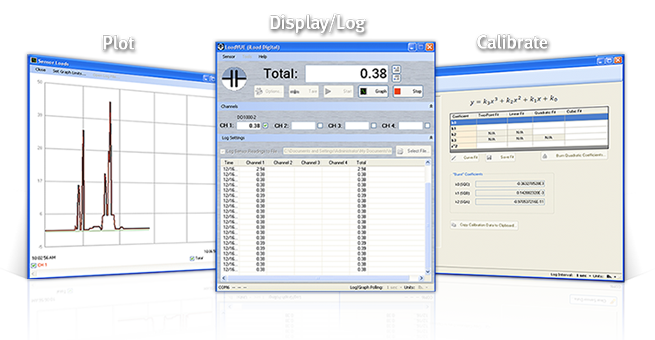 LoadVUE's display options allows users to view loads in pounds, kilograms or newtons. 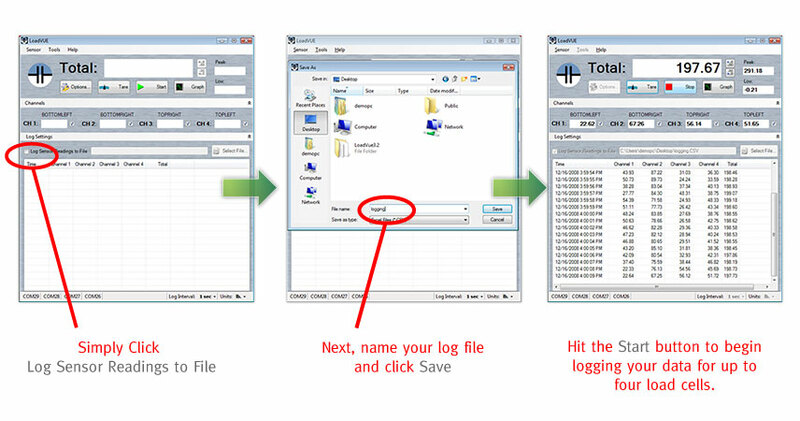 LoadVUE's logging tool allows you to export your load measurements into an excel compatible format for further analysis. 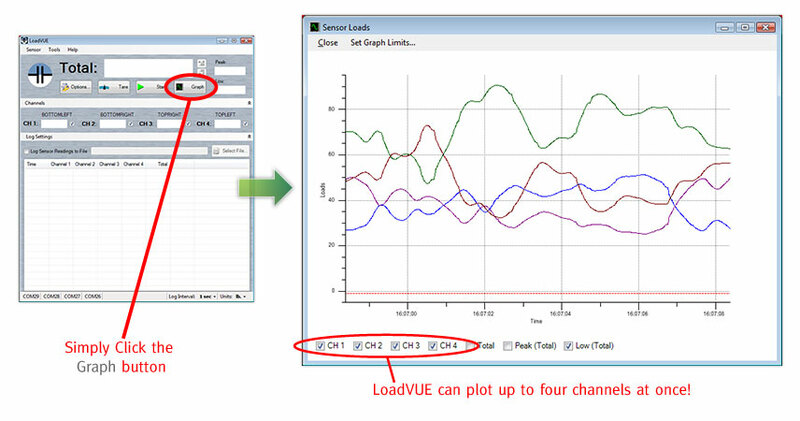 Users can plot data with LoadVUE's plotting capabilities and view peak/hold data(optional). Users can perform nine-point calibration on attached sensors and curve fit data on the sensors.